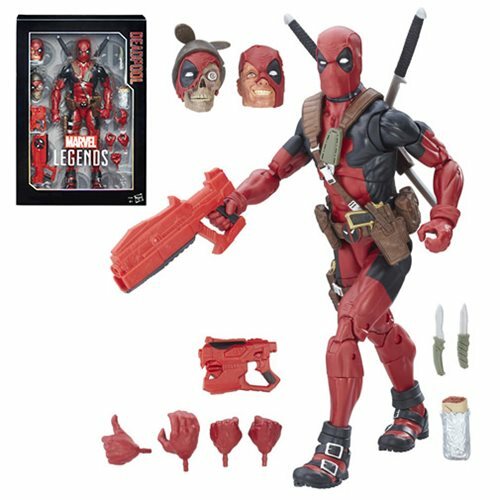 Shopping for Deadpool Action Figures? Get a big hero with the Marvel Legends 12-Inch Deadpool Action Figure! Armed with his wits and awesome weapons, Wade Wilson has never been bigger or more detailed as a Marvel Legends action figure. Jam-packed with all of the articulation you love, this mighty hero is ready to save the day and fight for what's right! Or at the very least, he'll make fun of it. Ages 4 and up.